Bangladesh, a land of rivers, nature and people, most importantly my Homeland. What if there were parallel universes, where my motherland, is a bit different, although having similar characteristics? Starting one of my really first modeling/unity project in this contest. Got really less time, so tried my best. 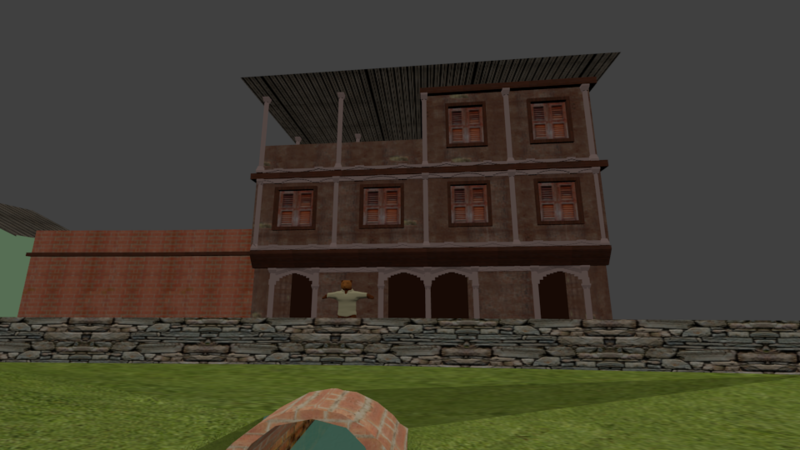 Modeled a similar town to Old Dhaka in Blender. Looking decent! Day 3 Really running behind in time! Tried my best to make a non-human inhabitant, (Oblivion/skyrim reference) Did some detailing, kinda fits but again, first time! More details! Got 1 day left! Need to work in unity now! 3 Hours!!! Imported into unity, very poor textures, but no time! Need to work on the bear animation and post processing/cinemachines. GOT 30 Minutes Left! Post processing done! Used Timeline, Post processing Stack and Cinemachines to control the camera. The bear animation didn't work out perfectly, only had 3 minutes left before upload.